Embedding posts from Twitter, YouTube, Instagram, and a few other websites, has become a common practice, especially among bloggers and journalists. It’s a tool that can help you tell a bigger and better story that revolves around engaging with fresh, dynamic content that is available to reuse simply and easily. This week, Tumblr announced that it has followed other social media sites, and now allows users to embed posts from the Tumblr dashboard. That means that a whole new ecosystem is available to embed, and that’s giving people access to an incredible amount of content. 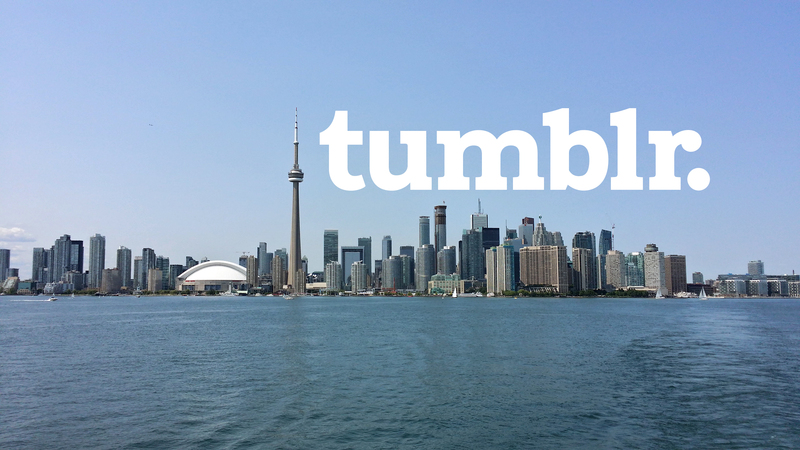 Tumblr is quite simply massive–their counter currently has them at 100.5 billion posts across 218.2 million blogs–and the styles of posts vary greatly between users, companies, and age groups. If you have a topic you write about, Tumblr offers something relevant that fits your niche. For those users who want to share their own Tumblr posts outside of the site, this new functionality is a big boon that allows people to spread content even further than before. You don’t need to post something twice–now you can post it once, and share it anywhere else. It even means that a company can run a Tumblr blog separate from their regular website blog, and selectively share posts on their website whenever they feel like it. The only downside to the functionality is that, at least right now, you can only share content from the Tumblr dashboard, or from a site that has embedded a post already. The reason probably comes down to Tumblr themes not being all compatible with the necessary code, but whatever the reason, it means you need to keep an eye on the Tumblr dashboard to find posts you want to share, or do a search to find posts that way. 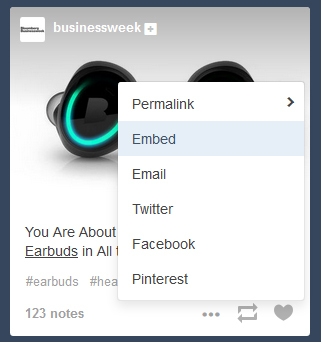 Next, just click on “Embed” and Tumblr will display the embed code, which has already been highlighted for copying. Copy it (using CTRL+C on PC, and Command+C on Mac) and, next, in your content management system, paste in the code. For WordPress, you will need to paste the code into the Text editor (not the Visual editor), so the code doesn’t get mangled by the text editor. For any other content management system, you will likely need to paste it into the HTML view. It’s also important to note, for users who aren’t aware, that this code will only work in a content management system, including WordPress or Blogger. You can’t paste this code into Facebook or Twitter. Okay, But Is Embedding Worth it? Circling back to the start, for anyone looking for content to help them tell a story, Tumblr posts can be a great source for discussion, and of course they can be fun, interesting, or just plain funny. But, what other value is there? In terms of Search Engine Optimization–if you are writing content for your site that you hope will appear highly in Google searches and possibly improve traffic to your website–there is also value in embedding posts because search engines can read the content that is being embedded. Whether it will help a lot depends on a whole bunch of other factors, of course, including keywords, keyword density, and even the length of the whole post. The greater value, as I see it, is simply that social media offers a huge opportunity for engaging with your audience. Writing a smart, well-written article that includes embedded content can help retain visitors on your pages for longer periods of time, and possibly entice them to share a story elsewhere on social media. The value of embedded content can be big, especially with posts that offer images, video, or other graphics–and Tumblr is really all about the images. There are no guarantees, of course, but this is a promising opportunity, and Tumblr has a wide range of incredible content from brands, businesses, and savvy people from around the world. If nothing else, it’s worth testing to see what reaction you get from your readers. Just be conscious of the type of content you share, and how relevant it is to your website, and your readers. Knowing your audience is still one of the most important factors. Author W. Andrew PowellPosted on January 9, 2015 Categories BlogTags content, Social Media, TumblrLeave a comment on How do I embed a Tumblr post and what is the value?